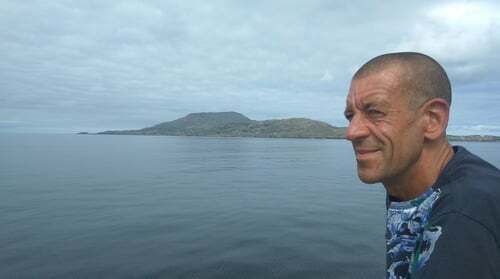 Diarmaid Ferriter on the boat to Clare Island earlier this year: his recent book, On the Edge, investigates our offshore islands. In the yuletide and the bleak mid-winter, there's nothing quite like a good book as book club members will tell you. It's all about choosing with caution. Paddy Kehoe has recommendations from our pages this year with new releases too, hot off the presses. The first ever autobiography of a female GAA star - fact - features the Mayowoman’s fascinating story. After early promise, Staunton became the highest-scoring forward in the history of Ladies Gaelic Football. The author recalls how, as she would see it, the under-resourced game became her refuge after the death of her mother. Staunton's move to play for a professional team in Sydney is also explored. "You win by working margins of the thousandths of a second, '' breezily declares World Superbike Champion Jonathan Rea in his gripping autobiography. Rea has to his credit more race wins than any rider in history. He has also has suffered several potentially career-ending accidents, and at the age of 17 he smashed his femur and was told he would never ride again. However, nothing was going to stop the Ulsterman who was addicted to the track. Just out in paperback is this account of the memorable occasion in 1978 when the Munster rugby team beat the mighty All Blacks - more than 100,000 fans claimed to have watched the game, even though the stadium could only hold 12,000. This updated account recalls that immortal win, and the fervour and fever that surrounded those heady days, still recalled with fondness and pride by aficionados of the game. The eighteenth book in what has proved a highly bankable series, enthralling readers the length and breadth of the land, not to speak of far-flung cities of the USA and Australia where copies of the books are valued like cheese-and-onion crisps or black pudding. Life as a stay-at-home husband has proved a lot trickier than envisaged for our hero, as we discover in the latest dispatch from the Karl Ove Knausgaard of Dublin’s Southside. 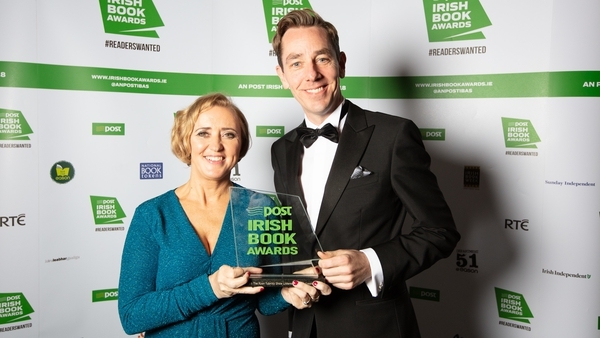 This 183-page paperback from the Nenagh-born writer was long-listed for this year’s Man Booker prize, but Ryan's fans may not care too much about prizes, they just love his writing which is what it's all about. Farouk, Lampy and John are not the same age, are not of the same race, nationality or class. All such differences melt away in Ryan’s moving tale, which captures distinct moments in their lives, their relationships and all the uncomfortable, heart-breaking complexities in between. Read Grace Keane's full review here. The critically-acclaimed Orchid and the Wasp brings us the singular Gael Foess and her life in the Celtic Tiger bubble, amidst the boom and the crash and her ambition to make the most of it all. Gael is introduced at an early age to the concept of making sacrifices in order to get ahead. Her disgraced banker father, Jarlath - who helped bankrupt the country in 2008 - flees to the UK, abandoning Gael and her younger brother Guthrie to the whims of their flighty mother, Sive, a conductor with the RTÉ Concert Orchestra. Grace Keane. Read Grace Keane's full review here. In this 388-page work, Ferriter, who is Professor of Modern Irish History at UCD examines the reasons for the exodus from our off-shore islands. He documents key island experiences and personalities, along with the political, social, and cultural ferments, by way of response to official treatment of the islands over the past 150 years. This latest novel from the Spanish master, translated into English with characteristic flair by Margaret Jull Costa, won the 2018 Premio de la Crítica (Spanish National Critics Award). The winner of the IMPAC Dublin Literary Award and numerous other prizes is a master of long unwinding clauses which go to make sentences that fancy an engaging stroll down the page. He is tipped occasionally for the Nobel Prize, and two of his best novels from a total of 16 are A Heart So White and The Infatuations. In his new one, the eponymous Berta Isla and Tomás Nevinson – he is half-English half-Spanish - fall in love in Madrid and decided to live together. Little do they realise in the throes of early passion, that they will grow to be strangers, as a sinister government agency intrudes. The work of this popular novelist has been translated into 42 languages, no mean feat. Something of a specialist in Magic Realism, Haruki Murakami was born in Kyoto in 1949 and now lives near Tokyo. His work has been translated into more than fifty languages and aside from selling 2.5 million copies of his books in the US alone, he has won a host of literary awards. Described as "a tour de force of love and loneliness, war and art." his latest opus concerns a thirty-something portrait painter in Tokyo who is abandoned by his wife and ends up in the mountain home of a famous artist, Tomohiko Amada. When he discovers a previously unseen painting in the attic, he unintentionally opens a circle of mysterious circumstances. Stephen King hates to fly, but he has usefully channeled his phobia into this quirky new collection of stories which, aside from his editing, benefits from a piquant new, edge-of-seat story from the man himself, along with flight-oriented stories from Roald Dahl, Ray Bradbury, Dan Simmons and others. "Ideal airplane reading - especially on stormy descents, '' smirks the King of the piece. All right, this one isn't due until January, but it's something worth holding onto that Xmas book voucher for. The work of this emerging Irish short story writer has already been compared to writers who have brought fresh vision to the genre, including Edgar Allen Poe, Donald Barthelme and Jorge Luis Borges - lofty company indeed .His metier is the aesthetics of murder, the abiding fascination among readers with the macabre `and the tenuous line that separates art from life.’ One of his characters undergoes plastic surgery to speed up the process of being possessed by the ghost of the Italian composer Gesualdo, he of the ethereally beautiful choral music. Another story delves into the assassination of Abraham Lincoln. Dalkey Archive can be relied on forfictional curve-ball and alternative approaches, and their annual collections of European short stories are always beguiling. Fictional situations typically assail the reader from left-field, structural upending and phantasmagorical occurrence is not unusual. Born in London, Christopher Woodall has lived in the Maghreb and East Africa and lots of other places around the world since he left school in 1971,. He picked up two degrees along the way and has worked in factories, restaurants, farms, and even a crude-oil facility. A life’s worth of experience has seeped into these quirky stories of love, death, fidelity, solitude and friendship. The funny man known as The Big Yin, now 75, is summed up here as comedian, musician, presenter, actor and `citizen of the world.’ Read about all of his roles in this sparkling memoir, from the Glasgow tenement boyhood to playing music with Gerry Rafferty when they were both The Humblebums. The TV travelogues and other diverse adventures along the way are recalled, typically as flavoursome chunks of dialogue. We are not reviewing the audio book, but it feels like we hear him, loud and clear throughout, although Billy seems to get quieter when referring to the Parkinson’s disease which has ended his touring. Paul Preston, who himself authored a magnificent and compelling biography of El Caudillo, describes Moradiellos, the author of this new account, as one of the most distinguished historians of twentieth century Spain. Aside from his incendiary reputation bound up with the public realm, the private life of Franco is recalled in some detail too. The Galician-born General, who died in 1975, once dispassionately signed death warrants. Yet he and his wife Carmen Polo welcomed seven grandchildren who were showered `with affection and attention, both in private and in public.’ Let's just say a lot of this tale is not pretty. Sturgis’ biography of Oscar Wilde has been welcomed as the best account so far of a life beset by drama, ill-luck, heart-break and talent, surpassing in the view of many Richard Ellman's seminal efforts. New material gleaned by the author has been utilised to present a vivid, compelling account of the Anglo-Irish poet, playwright, essayist and novelist, who died in bleak circumstances at the age of 46 in Paris. And last, but not least, some post-Christmas fibre. What else would you be doing after you have imbibed too much mulled wine but be settling down to some philosophy and giving a jump-start to the old grey matter? Exercising that left or right cortex (whichever one it is), this is the ideal, mental stock-taking time with the new year just around the corner. Julian Baggini makes it easy and accessible in this survey of, well, what people think all over the world in their distinct cultural eyries. One of the great mysteries of humankind is that what we know as written philosophy flourished separately in ancient China, India and Greece at around about the same time. Moreover, what we call `philosophy’ in the West is not even half the story, argues the engaging ideas man in this highly readable work.